Thank you to everyone who participated in the 2018 Toys for Tots Charity Raffle. Even if you were not a prize package winner, you helped contribute to a great cause! Get your favorite player’s jersey in YOUR SIZE!! Choose from Baker Mayfield, Myles Garrett, Denzel Ward, Jarvis Landry or any other readily available Browns player at a comparable price. 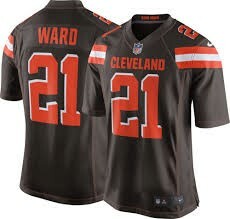 We will purchase the brown jersey with orange lettering from NFLShop.com and ship it to you. 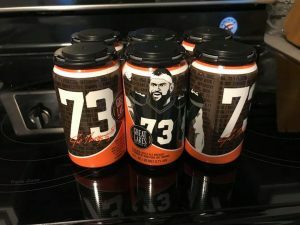 Enjoy 36 cans of Great Lakes 73, a Kolsch-style beer that was co-created and inspired by the great Joe Thomas. This beer is not currently sold in the DC-VA area! 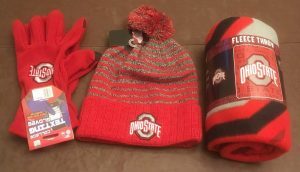 Stay warm and show your Buckeyes Pride with the OSU comfort package. 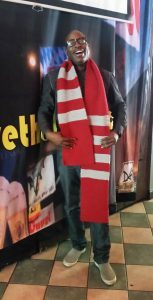 The prize includes: OSU hat, gloves, a super cozy fleece blanket and of course the totally awesome, extremely warm, incredibly famous, hand-knitted scarf!! This package included a hand knit scarlet and grey scarf. 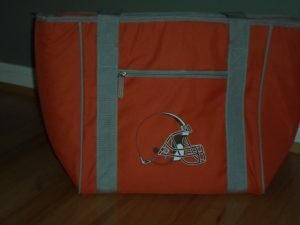 Stay warm and show your Dawg Pride with the Browns comfort package. 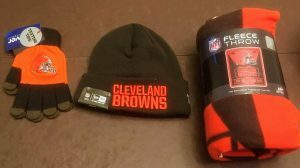 The prize includes: A Browns hat, gloves, super cozy fleece blanket and of course, the totally awesome, extremely warm, incredibly famous, hand-knitted scarf!! 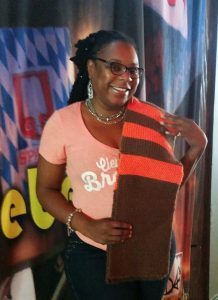 A beautiful hand-knit orange and brown striped scarf..
Take a free tour (includes tasting) of Great Lakes Brewery in Cleveland, Ohio and enjoy dinner for two afterwards. 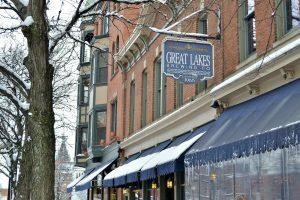 If you win this prize you get fantastic beer, delicious food in the best location!! What’s not to love? 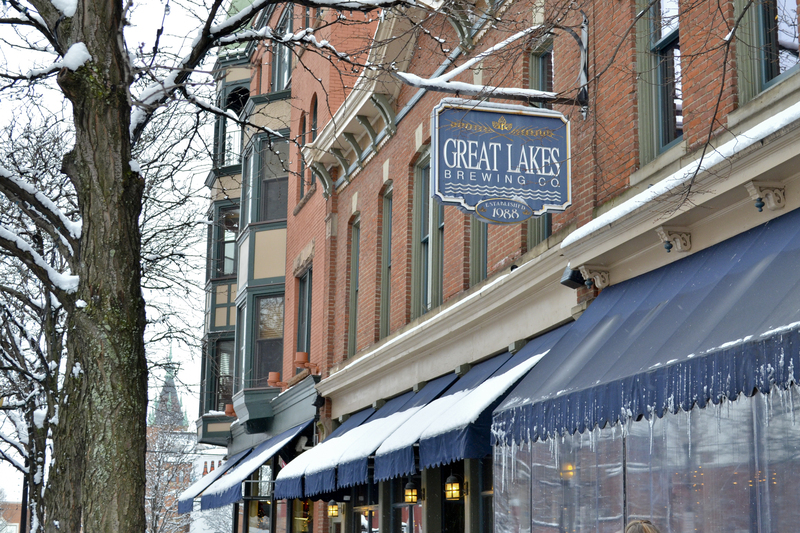 Dinner for 2 at the Great Lakes Brewery in Cleveland, followed by a tour. The 2015 Charity Raffle took place on Sunday, December 13th at RFD Washington.